Most people spend their lifetimes searching for a career that suits them, but never quite knowing what exactly that might be. To others, like Laura Nyro, the knowledge comes naturally. Nyro was born on October 18, 1947. Her father was a jazz trumpeter, her mother an opera buff. By the age of eight, Nyro had already begun composing songs, and after attending Manhattan’s High School of Music and Art, she went on to perform in many of the local clubs. In 1966, she released More Than a New Discovery, and although it proved to be a commercial failure, it featured several songs that became hits for Blood, Sweat, and Tears (And When I Die), Barbra Streisand (Stoney End), and The Fifth Dimension (Wedding Bell Blues). But that was enough. The ball had been put in play, and with the help of David Geffen, who spotted her at the 1967 Monterey Pop Festival, Nyro scored a major label deal. Her sophomore effort and Columbia debut — Eli and the Thirteenth Confession — spawned two more hits for The Fifth Dimension (Stoned Soul Picnic and Sweet Blindness) as well as one for Three Dog Night (Eli’s Coming), but more importantly, the stunning album showcased her immense talent to the world. Throughout Eli and the Thirteenth Confession, Nyro blended a myriad of styles together to form something that was quite different from standard fare circa 1968. Jazz, blues, folk, R&B, soul, gospel, classical, and even Broadway theatrics crisscrossed in a mélange of raw emotion and personal reflection. There’s a bit of Burt Bacharach, a bit of Carole King, a bit of Aretha Franklin, and a bit of Curtis Mayfield contained in the songs, but each artist and genre from which Nyro drew was blasted to pieces and reconstructed in ways that took pop music in bold, new directions. For the perfect example on an album chock-full of them, listen to Once It Was Alright Now (Farmer Joe). Here, she seamlessly merged three separate themes into a three-minute musical suite that’s as perfect as anything Brian Wilson ever composed. 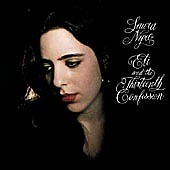 If Eli and the Thirteenth Confession placed Nyro on the map, however, it was New York Tendaberry, her third release, that made her a star. It was her only Top 40 album, and it remained on the charts for more than four months. 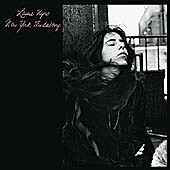 It was also Nyro’s masterpiece, a conceptual series of songs about life and love in New York City that was built around the sound of her and her piano. Within each song, tempos shifted and changed, playing to the soulful ambience and reflective mood painted by her lyrics. Her sonorous voice cried out each word as sometimes subtle, sometimes exclamatory orchestrations splashed color across each turn of phrase. Nyro continued to record on and off up until her death from ovarian cancer in 1997. But she never again came as close to the brilliance displayed on these two albums. Recently, each of these exquisite efforts was remastered and reissued with several rare bonus tracks. Those on Eli and the Thirteenth Confession are all interesting demos, but the most notable extras are the two songs tacked onto the end of New York Tendaberry — the original single rendition of Save the Country and the previously unavailable In the Country Way. The single version of Save the Country contrasts sharply with its album counterpart. Instead of building from a stripped-down whisper to a rollicking-horn-laden affair, the single, which actually was recorded nine months earlier, was more of a straightforward pop song, full of tambourines and handclaps. As for In a Country Way, it was taken from a session in 1971. For this song, Nyro created an intriguing pastiche of rural and urban elements as a harmonica playfully danced in the space surrounding her voice. It’s not her most groundbreaking song, but it’s a nugget worth savoring nonetheless.